A few years back, while visiting one of my go to liquor joints, I spotted a curious set of bottles on the top shelf in the bourbon aisle. They all said Pappy van Winkle on the labels, some in bags, with age statements of 10, 12, 15, 20 and 23 years old. Some were in my price range, some not, but I didn’t know enough about them to snag one at the time. Four shelves below were a few bottles of something called W.L. Weller, and I disregarded those as well (more on the connection later). There they sat, visit after visit, consistently on the shelf gathering dust. I never once considered buying them because I am a complete and utter dumbass. And then, when no one was looking, it happened…. I have no remote clue as to what “it” was, but whatever it was, it came out of absolute no-where. Seemingly without warning, whiskey, especially American whiskey, got white hot. Google searches and web trends went up, whiskey articles started flowing out of mainstream publications, reviews of luxury bottles started popping up everywhere and people started to eat it up. And boy oh boy, did everyone fall in love with a little ole’ dusty brand known as Pappy Van Winkle. 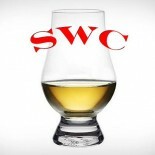 Whiskey fanboys voraciously searched stores far and wide. When they bought a bottle it was because their turn came on a waiting list. Soon enough, no one could find a bottle. If you managed to earn a chance to score a bottle, you didn’t buy one, you bought ALL OF THEM. The appetite for this stuff baffled everyone, including me. I never scored a bottle of the prized 15, 20 or 23 year old. I did manage to find a bottle of Old Van Winkle “Lot B,” but that’s it. After time went on, I lost my desire to score any of the bottles because eventually one has to learn to let go and move on. Let the rich dentists have it, I don’t care. They need something to put in their coke anyway. But I re-discovered that bottle of W.L. Weller 12 Year Old a few shelves down. Nose- Thick and deep. Pronounced oak but pleasant. Caramel and vanilla with orange creamsicle. Sweetened cocoa, dark. Candied fruit with citrus and light cherry. Touch of pine. Must let this open up a bit. Taste- Oaky and full bodied. Stronger than Special Reserve, but retains high drinkability. Sweet with a bit of cherry. Finish- Medium to long. Complex with popping oak, cherry with chocolate again. Brown sugar, pie filling. Very interesting activity. Comments– Excellent, great complexity for the price point. A mature spirit for the mature drinker, but a classic for bourbon lovers, some could go all night with this, others preferred the Special Reserve. I believe it. The higher strength of OWA with the softness and elegance of the 12 would be a great combination. A relative bargain, IMHO, with the appeal of Booker’s but w/o the alcohol hit (or price). Although a somewhat different profile, I’d welcome a comparison/review of Washington’s Waitsburg bourbon.